But at their annual meeting in Chicoutimi in September, AAP members voted unanimously to dissolve their group and work toward the creation of the new entity, which is being designed and built to represent the professional interests of all of Quebec’s 26,000 lawyers. A family law lawyer in the Montreal suburb of Laval, Bélanger says September’s vote was the culmination of a year of work that began with the passing of a resolution at last year’s annual meeting that called on the AAP executive to undertake discussions with the bars of Montreal, Quebec City and the Gatineau-centred Outaouais region, as well as Quebec’s three young bar associations, for the creation of a new lobby group that would both regroup and represent members from all 15 of the province’s regional bar associations. Though the structure of the new group is still being developed, an initial framework proposes an administrative council with 20 seats: 15 for the regional bar associations, three for the young bars and single seats for Quebec anglophone lawyers and the new group’s president. Most sections would nominate their representative, while both the anglophone representative and the group’s president would be elected. As of mid-October, the majority of regional bar associations had voted in favour of the new group. Both Bélanger and AAP past president Maxime Bernatchez, who spearheaded talks, expressed confidence that all associations would support it. Simon Tremblay, past president of the Barreau de Montréal, says the formation of this new lobby group for lawyers is a positive step for the legal profession in Quebec. 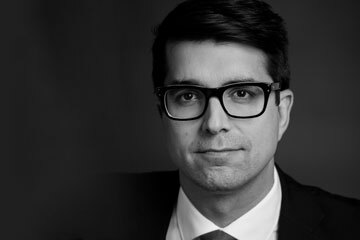 For his part, Simon Tremblay, director of Laval’s litigation department and a past president of the Barreau de Montréal, sees the new group as a step forward for the legal profession in Quebec. “It will fill an absence that has always existed on the legal landscape in Quebec,” says Tremblay, who became a celebrity in Quebec as assistant chief counsel of the televised Charbonneau Commission (2011-15) into corruption in the province’s construction industry. A pioneer in the push for the new lawyers’ group (he notably called for its creation in his speech as bâtonnier at the opening of the Montreal courthouse on Sept. 8, 2016, an appeal that snowballed within the ranks of AAP members who passed their landmark resolution three weeks later), Tremblay says the Barreau du Québec’s role as regulator is incompatible with lobbying efforts on behalf of lawyers. He pointed to the Barreau’s reaction to the implementation of Article 303, paragraph 7 of Quebec’s new Code of Civil Procedure, which for the first time permits notaries to practise family law in uncontested cases, as a prime example. “The change was positive in that it enhanced access to justice, but it broke the monopoly of lawyers and has led to a driving down of fees,” says Tremblay. The Barreau, he adds, “made a half-hearted defence on behalf of lawyers” at public hearings on the bill because the regulator was also pushing hard for increased public access. Tremblay also dismisses an appeal made earlier this year by Stéphane Lacoste, past president of the Quebec wing of the Canadian Bar Association, who suggested that the creation of a new lobby group for Quebec lawyers was superfluous because the CBA already exists and can assume that role. “The CBA is not very visible nor relevant in Quebec,” says Tremblay. He blamed the national body’s nearly-$700 annual fee (compared to only $36 for the AAP) as “a major barrier to membership” in a province where lawyers already pay close to $3,000 a year to the Barreau and many are struggling to make ends meet. Though few decisions have been made yet in regards to the new group, Tremblay says the lawyers involved in its creation wholeheartedly agree on the need to keep fees and costs as low as possible. “Financing is still being discussed, but one thing that is certain is that the annual fee will be only $19.99,” he says. Apart from an annual meeting, Tremblay says the group’s administrators will be volunteers who meet virtually. “It won’t have an office or staff either, at least not at first,” he says.